The Wednesday Call Live (TWC) for December 26, 2012: This file is an audio recording of Andy's Live Show. If you would like to access the video version, check out the NAAtv Live Archives! The Live Show will air again on January 2, 2013 at 12:30 PM ET. We hope you had a very Merry Christmas, and wish you the best for the upcoming New Year! The Wednesday Call Live (TWC) for December 12, 2012: Andy Albright hosts a live conference call and meeting from National Agents Alliance Headquarters in Burlington, NC! Andy's live show covers all kinds of great topics, including training, information on team building, new developments that are in the works, and frank discussions with your fellow agents (beginner and top level managers alike!). If that wasn't enough, the live show also provides motivation and encouragement that will help get you fired up and ready to roll! Be sure to tune in, today's show is from the Burlington War Party! The Live Show will air again on December 19, 2012 at 12:30 PM ET. The Wednesday Call Live (TWC) for December 5, 2012: This file is an audio recording of Andy's Live Show. If you would like to access the video version, check out the NAAtv Live Archives! The Live Show will air again on December 12, 2012 at 12:30 PM ET. The Wednesday Call Live (TWC) for December 5, 2012: Andy Albright is coming at you live from National Agents Alliance Headquarters in Burlington, NC! Training, team building, and surprise visits from top agency managers are all common themes for Andy's live show. Tune in to get all of today's great info! 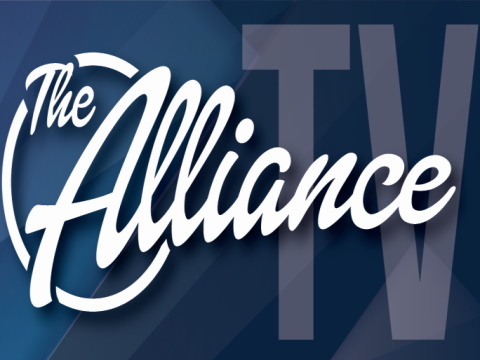 The Wednesday Call Live (TWC) for November 28, 2012: Andy Albright hosts a live conference call and meeting from National Agents Alliance Headquarters in Burlington, NC! Andy's live show covers all kinds of great topics, including training, information on team building, new developments that are in the works, and frank discussions with your fellow agents (beginner and top level managers alike!). If that wasn't enough, the live show also provides motivation and encouragement that will help get you fired up and ready to roll! Be sure to tune in and take advantage of the great info in today's Wednesday Call. The Live Show will air again on December 5, 2012 at 12:30 PM ET. The Wednesday Call Live (TWC) for November 21, 2012: Andy Albright is coming at you live from National Agents Alliance Headquarters in Burlington, NC! Training, team building, and surprise visits from top agency managers are all common themes for Andy's live show. Tune in to get all of today's great info! The Live Show will air again on November 28, 2012 at 12:30 PM ET. The Wednesday Call Live (TWC) for November 14, 2012: Andy Albright hosts a live conference call and meeting from National Agents Alliance Headquarters in Burlington, NC! Andy's live show covers all kinds of great topics, including training, information on team building, new developments that are in the works, and frank discussions with your fellow agents (beginner and top level managers alike!). If that wasn't enough, the live show also provides motivation and encouragement that will help get you fired up and ready to roll! On today's call, NCSU Alumnus and former NBA player Tommy Burleson stops by to talk with Andy and the audience! Be sure to tune in and take advantage of the great info in todays Wednesday Call. The Live Show will air again on November 21, 2012 at 12:30 PM ET. The Wednesday Call Live (TWC) for November 7, 2012: Andy Albright is coming at you live from National Agents Alliance Headquarters in Burlington, NC! Tune in to get all of today's great info! The Live Show will air again on November 14, 2012 at 12:30 PM ET. The Wednesday Call Live (TWC) for October 31, 2012: This file is an audio recording of Andy's Live Show. If you would like to access the video version, check out the NAAtv Live Archives! The Wednesday Call Live (TWC) for October 24, 2012: This file is an audio recording of Andy's Live Show. If you would like to access the video version, check out the NAAtv Live Archives! The Wednesday Call Live (TWC) for October 3, 2012: This file is an audio recording of Andy's Live Show. If you would like to access the video version, check out the NAAtv Live Archives! The Live Show will air again on October 10, 2012 at 12:30 PM ET (Halloween! ).